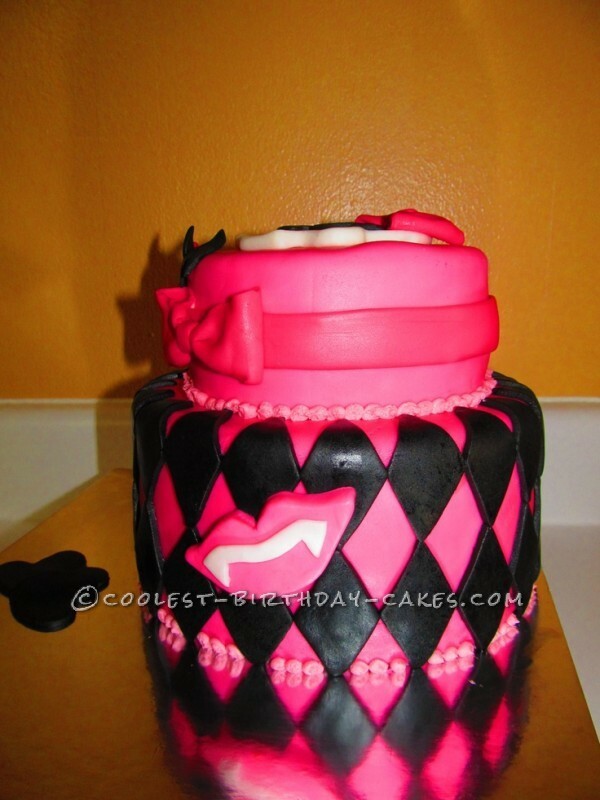 I have been making “Event Style” cakes for about 2 years. 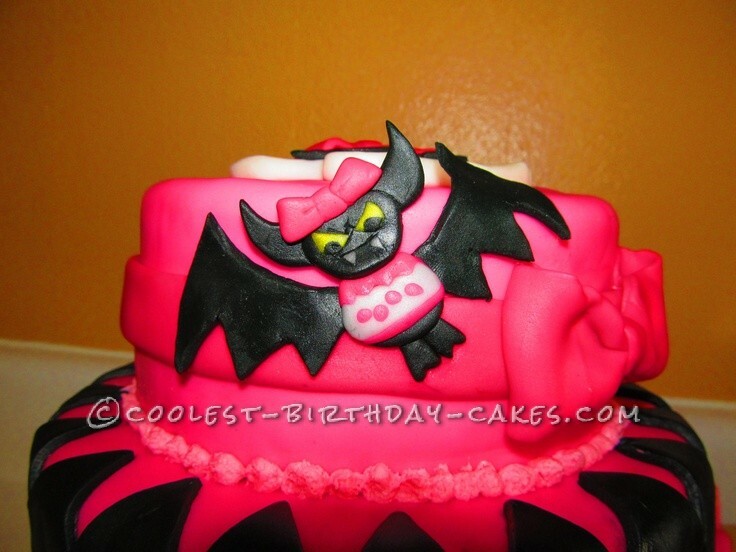 I have had absolutely no training but, my husband and I used to watch Ace of Cakes and Cake Boss obsessively! I guess I paid very close attention! My husband has worked for the Florida Department of Corrections for almost 9 years. He is so sweet and he always tells everyone about my cakes! 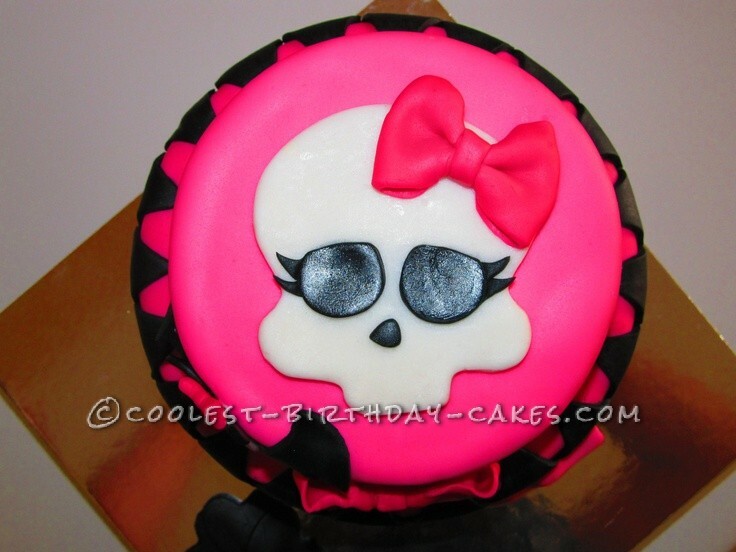 He came home and said that his Captain came to him and asked if I could make a Monster High Cake for his daughter. Of course I said yes! My husband’s Captain is a single dad. He has two little girls that he raises all on his own. Sadly, their mother is not in their lives at all. In my opinion, it must be challenging for a man to find ways to incorporate “girly” into his children’s lives with no influence from a woman. So, nothing could have made me happier than to help him make his little girls face light up on her birthday! Her favorite character is Draculaura so that is what I went with! I made a 2 tiered vanilla cake with vanilla icing. 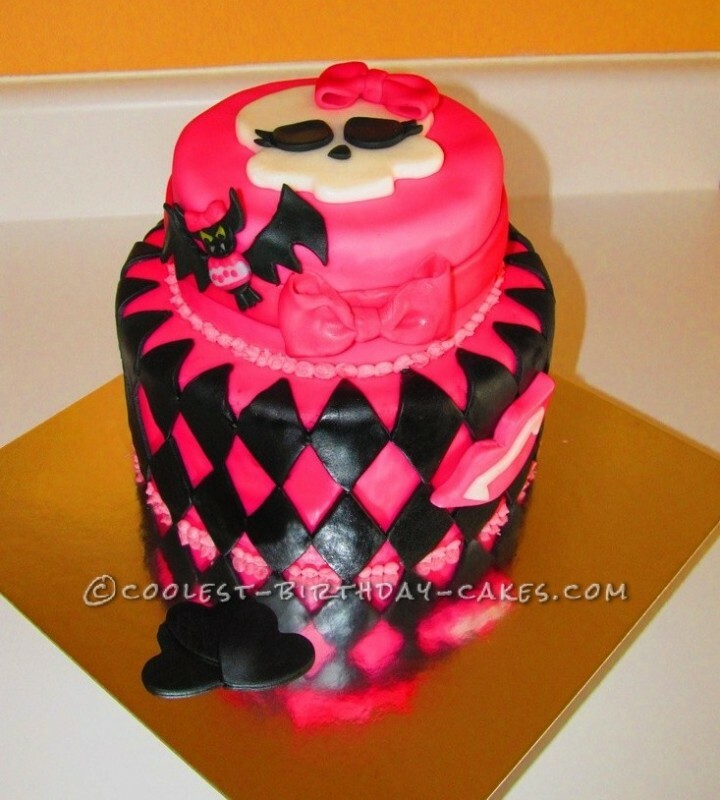 I used rolled fondant to decorate the cake. I am a stickler for making sure everything on my cakes are edible. One thing I saw over and over on some of the TV shows I watched, was their excessive use of non-edible items. I know that sometimes it is necessary but, I really don’t like it. For some of my designs, I utilize cookie cutters to achieve shapes but I hand cut the majority of them. The lips with the vampire teeth, Draculara’s pet bat “Count Fabulous”, the bow, and the girly skull were cut and molded by hand (my hands of course). I did use a diamond cookie cutter for the checkerboard and a heart cookie cutter for the three little black hearts. This cake took me probably about 6 hours total. When it was all done I was very pleased! My husband called his Captain and let him know that we were on our way with the cake. Anyone who makes these cakes, knows that they are very heavy and very cumbersome to transport. I usually choose to deliver my cakes so I can make sure they get to their destination safe and sound! We arrived just before she was expected home from school! My husband pulled up in the driveway and out came his Captain. His eyes lit up and he said “Wow that is amazing!” I smiled and said thank you! He then asked “You can eat that?” I laughed and said “Yep! Every bit of it!” He took the cake from me and thanked me about 8 times.